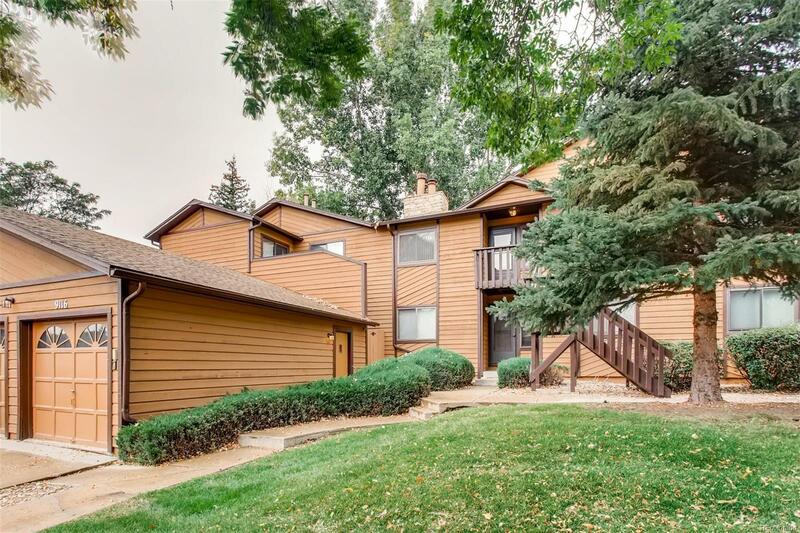 Beautiful, huge 3 bedrooms plus a loft condominium in a desired Standley Lake area. Two wonderful bathrooms on the main floor. Open floor plan with a nice updated kitchen. Cabinets with glass doors, under cabinets lights and beautiful brand new granite countertops. Brand new stove. Balcony door straight from the kitchen. New deck. Master bedroom has a beautiful view, private balcony door, walk-in closet, and your own bathroom! The main floor has a hardwood floor in main living and dining /eating area as well as stairs guiding you to a private loft area with nice glass shelves, window, and skylight for a natural light. Beautiful wood ceiling beams. Laundry room with a w/d hookups. Conveniently located. Very close to the Standley Lake. Close to shopping, restaurants & entertainment. Close to downtown, about 9 miles to Boulder. Walking distance to daycare and close to elementary, middle and HS. One car garage, storage and access to the swimming pool.